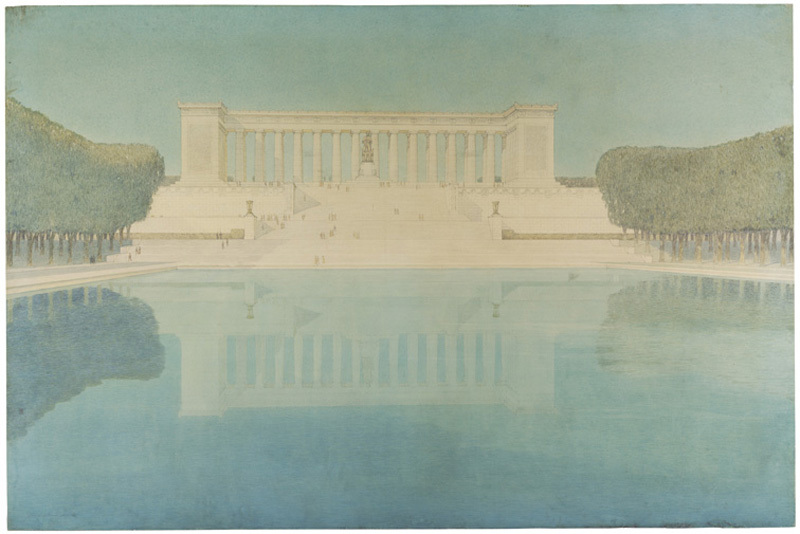 Henry Bacon, “Henry Bacon's design for the Lincoln Memorial,” Histories of the National Mall, accessed April 22, 2019, http://mallhistory.org/items/show/462. In 1912 this design by Henry Bacon was selected as the winner of a national design competition for the Lincoln Memorial. His design was in the neoclassical style, inspired by the temples of Greece. The design also featured a 19 foot statue of Lincoln, designed by sculptor Daniel Chester French, and murals, painted by artist Jules Guerin. Construction for the monument began in 1914 and was completed in 1922.